With over 9 billion tons of freight moved throughout the United States on an annual basis, large commercial trucks are almost always present when you get behind the wheel. Out of the many types of accidents that you can be involved in, truck accidents are often the most catastrophic because of the immense size and significant weight of commercial trucks. The damage caused by a truck accident can result in fatalities, lifelong disabilities, major property damage and emotional traumatization. Trucking may be good for the economy, but it poses a risk to other drivers on the road. According to the Center for National Truck and Bus Statistics (CNTBS), an average of 5,061 trucks are involved in a fatal accident each year. This results in an average of 362 pedestrians and 87 cyclists who are killed as a result of truck accidents. At DominaLaw Group, we believe in holding the responsible parties accountable for these accidents so that victims can receive the compensation they need and deserve. Since 1975, our experienced truck accident lawyers have been fighting for the rights of accident victims in Nebraska. We have a proven history of success in accident cases, and have recovered verdicts that include several multimillion dollar verdicts and one verdict for more than $1.2 billion. Unlike other firms, we are not afraid to stand up to powerful trucking companies and their insurance companies. If you or your loved one have been involved in a truck accident, you can trust our team of dedicated attorneys to stand up for your rights. Why should you hire DominaLaw Group? The difference between our firm and other firms in Nebraska can be seen in our approach to every case. 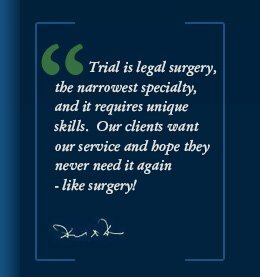 We truly understand that every case is different because every client is different, and we will devote the time and attention necessary to fully understand your concerns, needs, and desires. Our team is both caring and professional, giving you the assurance and reliable counsel you need to take your claim to court and succeed. With over 50 years of collective experience in this legal arena, we believe that we are well-equipped to take on the most challenging accident cases. DominaLaw Group has taken on controversial and risky cases in different states throughout the country, and this has given us invaluable experience with a variety of judges and juries from all walks of life. In the aftermath of a serious accident with an 18-wheeler, your future may look grim. We understand the physical and emotional devastation that you are dealing with, and we are here to help you move forward with the compensation you need to pay for your medical expenses and property damage. Many of the tragic accidents that occur every day could have been prevented by following the federal regulations for hiring practices and acceptable work hours. For example, the National Highway Traffic Safety Association (NHTSA) estimates that over 100,000 vehicle accidents every year can be attributed to drowsy driving. There are many variables that contribute to truck accident causes, and we have the resources to help you find out the truth about your accident. When you contact our firm about your truck accident, we will immediately conduct a thorough investigation in order to uncover any violations that the truck driver or trucking company may be trying to hide. When commercial truck drivers are pushed beyond their natural limits to meet deadlines, the risk of falling asleep behind the wheel is far greater. 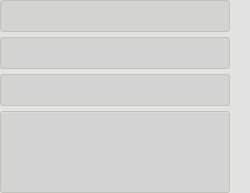 Our investigation will include looking into driver logbooks and making sure that the truck has received the necessary maintenance. Once our investigation is complete, we will compile our findings and begin to build a compelling case for your accident claim. Regardless of whether driver error, aggressive driving, equipment failure, negligent maintenance or issues of corporate responsibility were to blame, we will pursue your case relentless to make sure you receive the compensation and justice you deserve. To learn more about DominaLaw Group and our approach to legal cases, do not hesitate to contact our firm! 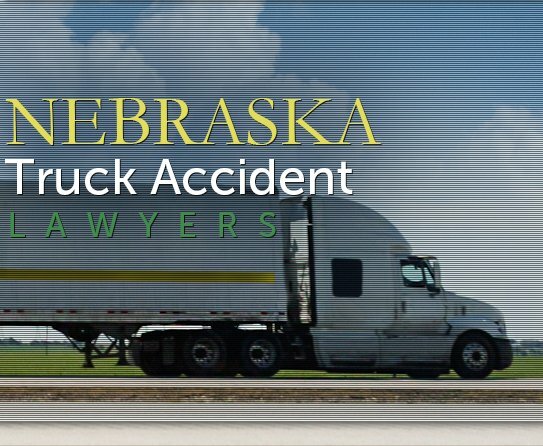 Contact a Nebraska truck accident lawyer today! If you have been injured in a big-rig accident, immediate legal action may be necessary to preserve vital evidence and recover compensation. 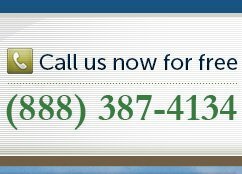 We offer you a free consultation to discuss your case and the many ways that our team may be able to help. Our truck accident lawyers provide honest answers to common questions about accident claims, and we are always prepared to take on your case. Call now!